Did you know that Epic Reads has a facebook group? Well they do and its amazing!! Each week you get a prompt to read a book in a given theme! This week is Retellings! I am so excited for this one! 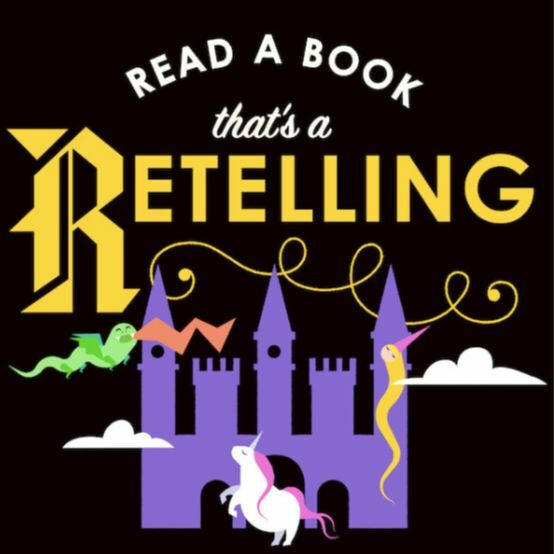 As there are a ton of different retellings out there that I would love to dive into! But on my list I have 2 books that I am going to try and get done this week for this prompt! Want to join the official group for our Year of Epic Reads! Here is a little about the group! We hope you’re ready, because 2019 is the year we’re going to positively crush that TBR pile. You all know by now that we’re a very ambitious bookish bunch, so we decided that we wanted to turn that into something we could do with all of you! • Quarterly: I want to read a new book every season! • Monthly: I want to read a new book every month! • Weekly: I want to read a new book every week! Along the way, feel free to use this as a forum to chat with one another, gather book recommendations, and discuss all the amazing books you’ll be reading for each challenge theme! Plus, we’ll be popping in with giveaways, polls, bonus videos, and so much more. Make sure you always check the pinned post, and definitely save the current graphic so you don’t lose track. Lastly, and maybe most importantly, turn your notifications on and get ready for your Year of Epic Reads to kick off! We’ll be *book shimmying* with you soon. So what am I reading for this weeks prompt?